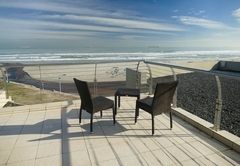 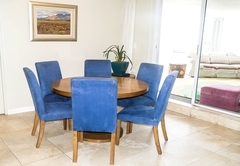 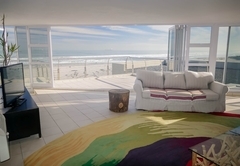 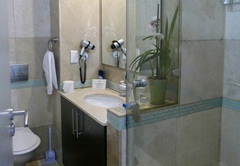 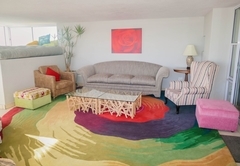 Cape Beach Penthouse is a property providing self catering in Milnerton for up to 6 guests visiting the Blaauwberg region. 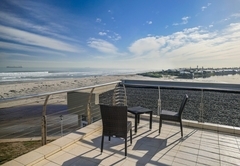 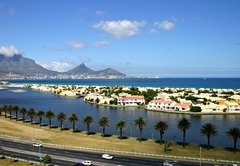 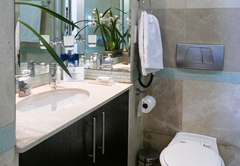 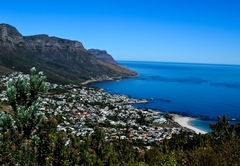 Cape Beach Penthouse offers unrivaled views of the Atlantic Ocean, lagoon mouth and the iconic Table Mountain. 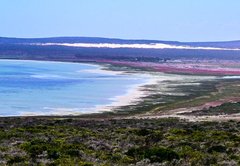 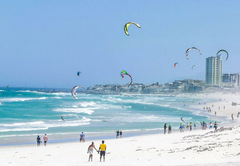 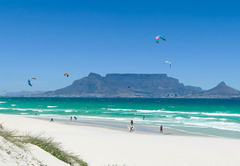 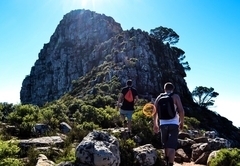 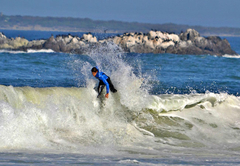 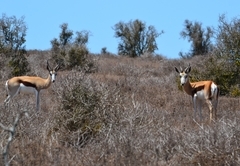 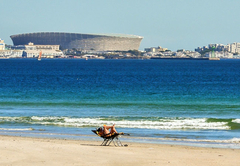 When staying in Milnerton you are well situated to visit all the attractions that have made Cape Town one the World's most popular tourist destinations. 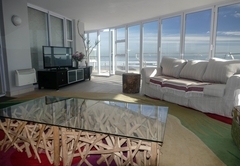 Cape Beach Penthouse has three bedrooms. 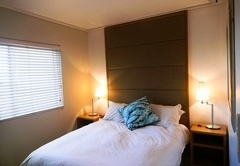 The first bedroom is furnished with a King-size bed and the other two bedrooms have Queen-size beds. 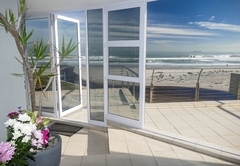 Each bedroom is air-conditioned and two boast direct sea views. 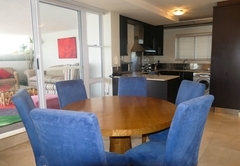 There is a spacious, open plan living area which is comprised of a dining table for six guests. 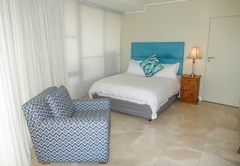 The lounge is comfortably furnished and equipped with a Television and DStv. 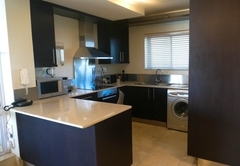 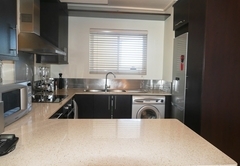 The kitchen is fully equipped for self-catering and includes a washing machine and all the utensils and appliances required for a self-catering holiday. 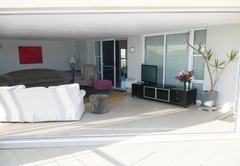 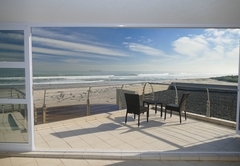 The living area opens onto a large patio with fantastic sea views. 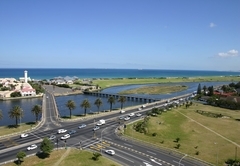 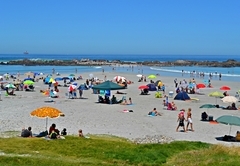 Milnerton is the perfect choice for travelers who want to be close to both the beach and the city. 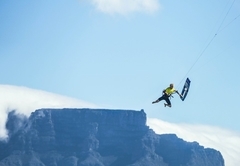 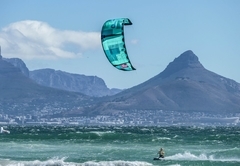 Lagoon Beach is a world class kite surfing hotspot and the balcony of Cape Beach Penthouse provides unrivaled viewing of the sport. 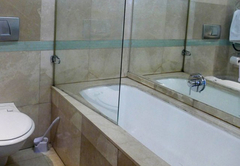 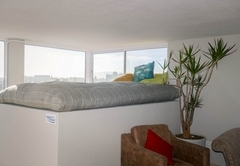 The penthouse has three bedrooms. 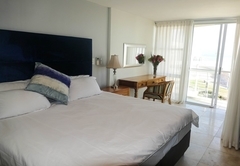 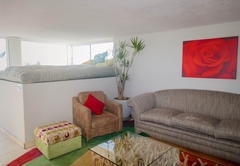 One bedroom is furnished with a King-size bed and the others have Queen-size beds. 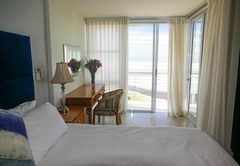 Each bedroom is air-conditioned and two boast direct sea views. 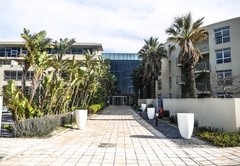 Child policyChildren of all ages are welcome but there needs to be adult supervision at all times as the penthouse is on the third floor.